Term Contract Bill/Cuts to VRS Benefits Save Nothing! The term contract bill went by for the day once again. It appears that the Governor is having a very difficult time getting the 21 votes that he needs. Please keep the calls to Senators coming. We are in a very difficult battle to protect the pension benefits of current and future teachers. Working with our Virginia Pension Protection Coalition partners, we brought in three pension experts of national stature to inform the debate. We did get some coverage in the Richmond Times-Dispatch. We thank Ilana Bovie of the National Institute on Retirement Security, Monique Morrissey of the Economic Policy Institute, and David Madland of the Center for American Progress for working with us to try to bring the light of truth to the retirement debate. Senator Watikins’ acknowledgement that the hybrid plan will not save money sure begs the question: Why are we doing this? Please read to the end of the article. I revised the letter to the Senators in keeping with new information we received Monday from VRS detailing the degree to which the Senate proposal will reduce the retirement benefits of future teachers. To make a complicated issue just a bit more complicated, the Senate rolled HB 1129 into HB 1130 when they adopted the Senate substitute. So, yesterday, we were telling you to oppose HB 1129. HB 1129 no longer exists – please work to oppose HB 1130. Click here to send your letter to your Senator. The letter to Delegates, urging their opposition to the House substitute for SB 498 is hot off the press. Please click here to send your letter to your Delegate. Doris Crouse-Mays, AFL-CIO President; Dr. Kitty Boitnott, VEA President, and Mike Mohler, Virginia Professional Firefighters President lobbied as a team today to resist the cuts in VRS benefits. Kudos to these leaders for showing solidarity! 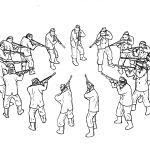 I've been trying to explain the prevailing philosophy in the General Assembly this year. A recent quip from commedian Andy Borowitz sums it up, "“I support the rights of the unborn child until it is born and wants an education." FYI, we now have over 17,000 cyberlobbyists!!! Fight the Term Contract Bill/Protect Your Pension! The tortuous wait on the fate of HB 576, the fire the teacher for no reason without due process bill, continues. The Senate passed the bill by for the day once again. This means the Governor does not have the votes, and we know that he is putting all the pressure he can on the wayward members of his own party. It is VEA against the world on this bill, and we need you to keep the calls and emails going to your Senator urging opposition to HB 576. You can find your Senator’s phone number by clicking here. If you do not know who your Senator is, click here. In addition, we are in an uphill battle to keep retirement benefits for current teachers from being reduced by HB 1129, and from keeping future teachers seeing their retirement benefits reduced by SB 498. Click here to send a letter regarding HB 1129. Click here to send a letter regarding SB 498. This is the most anti-teacher and anti-public school legislative session in my memory. We are going to have to all work on devising plans to fight back in the months and years ahead. We may have lessons to learn from those who recently stood up for reproductive rights in the last few weeks. We are at such a disadvantage because our members are not only working when the session is in – it is almost impossible for teachers to get leave when local budgets are so tight. What do we need to do to bring a large enough group to a Richmond rally to have an impact? The Senate passed by HB 576, the teacher contract bill, today. As the budget will be presented tomorrow, this may delay the final vote until at least Wednesday. Please continue calls and emails urging your Senator to vote against HB 576. The Senate Finance Committee will take up HB 1129 tomorrow morning. This bill will reduce future retirement benefits by cutting the formula from 1.7% to 1.6%, capping the COLA at 3 rather than 5 years, calculating the final average salary calculation based on the highest 5 years rather than 3, and withholding the COLA from early retirees. • HB1129 punishes current employees by reducing the estimated pension benefits. Under the provisions of this bill, a retiree ten years into retirement will receive a benefit approximately 10% below current plan benefits. This percentage increases with time. • There is no requirement that any estimated savings in HB1129 be used to offset the unfunded liability. • All efforts in the GA are aimed at punishing employees for the lack of payments made by the GA, and do little to help the unfunded liability. • In 2010, plan 2 was supposed to correct the deficiencies in VRS. We are back 2 years later because they did not fix the problems, and we will be back every 2 years until the GA stops underfunding VRS. • Punishing employees by reducing what modest benefits employees now receive is not the way to fix VRS. VRS can only be fixed by the GA living up to its responsibilities. • Virginia pays less than half of the national average toward the pension costs of employees, as a percentage of the state budget. • The General Assembly has failed to fund the VRS teacher fund at the rate recommended by the VRS Board 18 of the past 21 years. • Modifying the defined benefit retirement plans will likely diminish plan’s effectiveness in recruitment and retention. Any additional benefit reductions without offsetting salary or benefit increases will make our school divisions’ total compensation packages further out of the competitive range for prospective new hires. Please click here to write your senator urging opposition to HB 1129. Click here to access an Pension Alert flier to share with your colleagues. The following editorial ran in today’s Richmond Times Dispatch. It made it hard to enjoy my coffee and Cheerios this morning. Public school teachers across Virginia wore black last week to protest what they say is an attack on public education from Richmond. But there is scant evidence for the outlandish claim, which is based on faulty arguments about money and tenure. 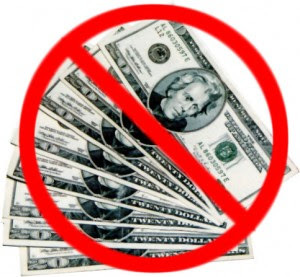 "Money is not being invested in public education," one VEA rep told a reporter the other day. Let's hope she's not a math teacher. Gov. Bob McDonnell's budget would increase spending on K-12 education by nearly a half-billion dollars. A House money committee has proposed adding $136 million on top of that; the Senate would raise the amount by $165 million. If teachers want to argue the state should be spending even more, fine. There's a reasonable discussion to be had about that. But to suggest the state is continuing to slash education funding is simply wrong. Skeptics of McDonnell's plan grumble that much of his K-12 spending increase would be used for pensions rather than classroom instruction. Yet at the same time, teachers are complaining changes to the Virginia Retirement System could make them pay more into the system, leaving them with less take-home pay. But if the latter complaint is valid then the former is not. Contributions to pensions are either a legitimate metric of state support for education or they aren't. Educators also are upset over McDonnell's proposal — now sidelined — to replace continuing contracts with periodic teacher evaluations, to make it easier for school systems to let bad teachers go. The Virginia Education Association calls this a threat to teachers' job security; some instructors also evidently consider it a sign of disrespect. This must sound extremely odd to many Virginians who work in the private sector, where few believe an employee should keep his job no matter how poorly he does it. That a significant number of teachers bristle at the idea of having their performance evaluated may be an indication an evaluation system is long overdue. The demonstration of solidarity on Black Friday did not impress Del. Dickie Bell, sponsor of the teacher-evaluation legislation. He scoffed at the VEA's "grade-school antics" and suggested that "play[ing] dress-up" was not an approach calculated to make teachers look like the professionals they claim to be. Combined with the aggrieved rhetoric about "attacks," it also conveys an unattractive undercurrent of entitlement that we hope does not carry over into the classroom. With regard to the February 24th editorial on teachers wearing black last week, I am sorry to see that the RTD has chosen to adopt the same air of disrespect, disdain and disregard for Virginia’s hard working teachers that our legislators have recently displayed. When you don’t care for the facts, I suppose the next best tactic is to simply mock those with whom you don’t agree. Thousands of teachers and supporters wore black on VEA-designated “Black Friday” because they know that support for schools from officeholders is declining, while disrespect for the work they do is growing. It is only partly about the money. It is disingenuous on the part of the editorial board to only call attention to this Governor’s K-12 budget while ignoring the fact that SOQ (Standards of Quality) funding for K-12 schools has been reduced by $1.4 billion, and that permanent changes in the formula have undercut teachers’ ability to do their job. 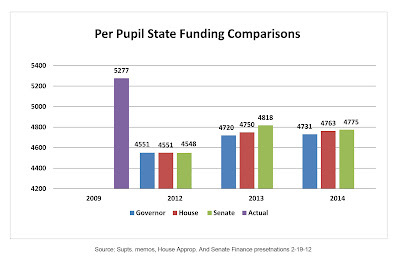 The state’s per-pupil support for public education was at $5,277 in 2009. The governor’s budget would bring it to only $4,730 by 2014. That’s a 12% cut. Class sizes in Virginia, once very low, now rank us 41st in the nation. This is not the level of support needed to prepare students for a competitive economy. More than the money issues, however, our teachers and support professionals are upset by the general tone of disrespect that is coming out of Richmond’s legislators and now has been piled upon by the Richmond Times Dispatch editorial board. Teachers really don’t ask for much, and most of them expect even less. They have, in many cases, dedicated half of their lives to children other than their own because they had a calling and felt a need to make a difference. Most of them struggle to make ends meet, but they never expected to “get rich” doing what they chose to do. What has shocked and disappointed them, however, is they have now been labeled by some politicians as “greedy, entitled, and lazy.” The last straw was the most recent attack on continuing contract, which is not tenure. Teachers in Virginia do not have tenure and never have. The suggestion that teachers have lifetime jobs with “irrevocable lifetime security” is bogus. This needless and unwarranted attack on their professionalism and dedication to their chosen profession is simply the last straw. We’ll wear black every Friday if it gets people’s attention and causes the citizen of Virginia to take note of what is happening to our students and those who work in schools. So, mock if you will, but unlike this editorial board, we know what the real issues are. The final vote on the teacher contract bill, HB 576, should be early this week. Please call your senator and urge them to vote against this bill which will deny future teachers of a fair dismissal process. Click here to get the senator’s phone numbers. Yesterday, I provided information regarding the March 3rd rally in Charlottesville. Here is the information regarding the rally on the same day in Virginia Beach. I hope those of you east of Richmond will make your best effort to attend. Yesterday, I asked you to write your Senator urging opposition to HB 1129. 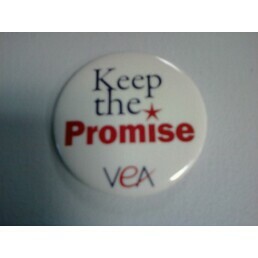 VEA formed and is a member of the Virginia Pension Protection Coalition. One of our coalition partners is the Virginia Professional Firefighters. They just put out a great video on HB 1129 – I thought you might enjoy it. Click here to watch. Today, I’ll summarize SB 498, which will reduce the retirement benefits of future teachers. Click here to send a message to your delegate regarding SB 498. SB 498 (Watkins) – Creates a new hybrid retirement program, administered by the VRS, creates a new retirement system including both a defined-contribution (DB) and a defined benefit (DC) components. All new state and local employees commencing employment on or after January 1, 2014 would make an irrevocable election to participate in the hybrid plan or the traditional retirement plan. Employees in-service on December 31, 2013 would be given the opportunity to make a one-time, irrevocable election to participate in the new hybrid program. The Defined Benefit (DB) component would have a 1.0% multiplier that generates a 30% replacement rate after 30 years of service and requires a 4% member contribution. The current defined benefit program produces 51% replacement after 30 years. Total possible employee contribution is 9% including the 4% for the DB. Total possible employer contribution is 3.5% plus the actuarially determined DB contribution. Localities could continue to participate in the VRS disability program, contract with a private disability insurance provider, or opt not to provide disability insurance. Localities would join the plan under a one-time irrevocable decision. This provision is a major disadvantage of this proposal. The major advantage of this proposal when it is compared to the House plan (HB 1129) is that this proposal changes nothing for current employees. Implementation would have significant undeterminable costs associated with systems development plus $1.3 million additional implementation costs. The bill also requires a General Assembly phase in of full funding for the VRS Board’s certified contribution rate. Full payment would be reached in the 2018-2020 biennium. Black Friday was highly successful in Bristol, Virginia. Kudos to the Bristol Education Association! Check out the news coverage of their protest. For those who haven’t been to this wonderful city on the Virginia/Tennessee boarder, put it on your list of places to see. You can cross from one state to another by walking across the street, and a meal at the Troutdale Bistro will make you think you have died and gone to heaven. Kudos too, to the Culpeper Star Exponent for getting it! The VEA Legislative Committee has taken a position in opposition to HB 1129. Please see the summary of the bill and seven reasons to oppose this bill below. Click here to write your Senator regarding this bill now. This bill modifies several provisions of the defined benefit retirement plan. Calculation for average final compensation (AFC) will use the average of 60 months rather than the current 36 months; current employees may use a “frozen” 36 month AFC rather than the 60 month average if their benefit would be higher. The JLARC study estimates a 10 year savings of $509.5 million. Except for those members who are within 5 years of unreduced retirement, the Cost of Living Allowance (COLA) will be given for the first two percent of inflation plus one-half of the next two percent, for a maximum total of three percent (The current total if five percent). Lowers multiplier from 1.7% to 1.6% for those members hired on or after January 1, 2013, except for hazardous duty employees and judges. Early Retirees receive no COLA until 65/30. The JLARC study estimates a 10 year savings of $430.4 million. Note: In HB 30 localities can require those hired before July 1, 2010 to pay all or a portion of the 5% employee contribution without an offsetting salary increase. When we discuss retirement reform and HB 1129, it is important to note six things. 6. This bill significantly reduces retirement benefits to the extent that the purposes of our retirement system will not be fulfilled: to recruit high quality personnel to our schools, to retain these employees, and to allow employees timely retirement with an adequate income. This bill penalizes employees for the mismanagement of the VRS system by the General Assembly and breaks the promise made by the Commonwealth to VRS members. Despite modest adjustments in public education funding in both the House ($136 million and the Senate ($165 million), as Senator Norment noted “The general fund Direct Aid to Education appropriation for FY 2014 will remain below the levels in FY 2007.” These additional funds must be viewed in the context of the fact that funding to our schools has been cut by over $1.6 billion since 2008 (SOQ and other formulaic cuts). While we are pleased that state employees and college faculty will see a salary increase, Virginia’s teachers desperately need the leadership of the General Assembly as Virginia’s teacher salary has fallen $7,083 behind the national average. The last time our teacher salary was this low as a percentage of the national average was 1964-65. No funds were allocated for the Teacher Salary Incentive Fund, and none have been provided since 2008. The vote on the budget in the Senate Finance Committee was 9 to 6 passage. This straight party-line vote portends a deadlock on the Senate floor. The Lieutenant Governor is not empowered to vote on the budget and cannot break the tie. The $29 million dollar gap in public education funding between the House and Senate is much narrower than what we saw with the Democrats controlled the Senate. Last year's gap was $106 million. The fight to keep a fair dismissal process for Virginia’s teachers and principals by killing HB 576 in the Senate, has become a little less lonely. The Virginia Association of Secondary School Principals is standing with us. VEA applauds VASSP for their position opposing the passage of HB 576. Please click here to view their testimony against the bill. Listen to Jeff Schapiro talk about the "teacher firing bill." When teachers donned black in protest of declining support for public education, none would have known what a bleak day it would be for public education in Virginia. The National Education Association released a NEA Research Rankings and Estimates report showing that Virginia’s teacher salary has fallen to 31st in the nation. We have lost all the ground we gained under Governor’s Robb and Balilse,” said Dr. Kitty Boitnott, VEA President. Virginia had risen to 21st when Mark Warner was Governor, now we have fallen to a ranking equal to when Governor Robb was inaugurated. And,with the passage of SB 131,for the first time since Massive Resistance the General Assembly has authorized the use of public funds to pay private school tuitions at taxpayer expense. This bill diverts up to $25 million of General Fund revenue for the purpose of paying private school tuitions. Instead of taking money from public schools for tuition tax credits, we should improve public schools by decreasing class sizes, updating textbooks and preventing additional teacher layoffs. When public schools are struggling financially and laying off teachers, the last thing we need is to spend taxpayer money on private schools. Notes: Virginia is the 7th wealthiest state in the nation, but ranks 35th in per pupil state funding. Thanks to all who participated in Black Friday. Our president received many emails reporting what was happening in schools across Virginia. My favorite was from Victor Gravely at Max Meadows Elementary School in Wythe County. Victor wrote: “I am proud to say that if you were to cut off the lights here at MMES you wouldn't see any classroom or office personnel unless they were smiling. Everybody here loved the idea, including nonmembers and all party affiliations. : )” I love the folks in Southwest Virginia – they know how to stick together and they do it with humor! My former local, the Virginia Beach Education Association, got some great TV Coverage. The House and Senate will present their amendments to the Governor’s budget on Sunday. Please check this blog on Sunday evening. Don’t forget to wear black on Friday. Spread the word with this flier. The focus of the General Assembly is shifting to the budget. VEA, PTA, VML and VACO held a press conference today calling on the legislators to make public education a priority as they develop the biennial budget. Click here to see the remarks of PTA President Ann Carson and VEA President Kitty Boitnott. Click here to send a letter to your Senator and Delegate urging increased funding for our schools. I have the greatest respect for Dr. Pat Wright, our Superintendent of Public Instruction, but I have been deeply disappointed by her support for HB 576. I have indicated before in this blog that teachers and principals are singled out in this bill. State employee can grieve termination under expedited procedure. The grieving employee files written grievance with designated Senior Agency Manager. If the matter is not resolved the Agency requests appointment of a hearing officer from Department of Employment Dispute Resolution. The hearing officer is an experienced qualified attorney chosen through a competitive selection process in accordance with state statute. The hearing officer has authority to order reinstatement and attorneys fees in grievances challenging discharge. The Department of Employment Dispute Resolution advises here that issues including formal discipline or dismissal for unsatisfactory performance are automatically qualified for hearing under the grievance procedure. Section 4.1(a) of the Grievance Procedure. A grievance regarding arbitrary performance evaluation MAY qualify for hearing under Section 4.1(b) of the Procedure. So, the teacher gets a hearing before a panel, and the school board makes the final decision. But, the state employees get a hearing before an officer with the authority to reinstate them. Now they want to take even that level of due process from teachers and principals. At the end of the three year term contract in HB 576, teachers and principals get no hearing – they don’t even have to get a reason as to why they are being fired. Why should teachers and principals be treated in such an inequitable manner? On the teacher contract issue, HB 576 will soon be taken up by the Senate. Presumably it will go to the Public Education Subcommittee of Senate Education and Health. We have a chance to kill the bill in subcommittee, but we need one Republican vote – Blevins, Black or Carrico. If we can’t kill it in subcommittee, the next chance will be in the full committee. We need one Republican to keep the bill from advancing (Martin, Newman, Blevins, Smith, McWaters, Black, and Carrico). If we can’t stop it there, it is back to the full Senate. Great pressure is being levied on Norment and Watkins, who helped us yesterday. Please do all you can to generate calls and emails to your Senator urging opposition to HB 576. We first learned that we would be in this battle this session when the Virginia Association of School Superintendents included term contracts, lengthening the probationary period, and changing the notification date for non-renewals from April 15th to June 15th. This is all spelled out on their 2011-2012 Legislative Issues. They complain that it is too hard to fire a teacher. If a teacher is on continuing contract, a reason must be given. The teacher can appeal the dismissal to a panel. The panel reviews the facts and offers a recommendation to the School Board, and the final decision is made by the school board. Virginia Code § 22.1-65. Punishment of division superintendents. A division superintendent may be assessed a reasonable fine, suspended from office for a limited period or removed from office by either the Board of Education, upon recommendation of the Superintendent of Public Instruction or the school board of the division for sufficient cause. A division superintendent may appeal to the appropriate circuit court any decision of the Board of Education or school board to assess a fine against him or to suspend or remove him from office and shall be entitled to a trial de novo on such appeal of whether there was sufficient cause therefor. So, the teacher gets a hearing before a panel, and the school board makes the final decision. But, the superintendent gets a trial after the school board has ruled. I wonder if the superintendents should have opened this can of worms. The real drama of the day was provided in the debate over the teacher contract bill, SB 438. We needed one more vote to kill the bill. Senator Norment rose to speak. He said that his daughter sent him an email this morning. She wrote to him saying, “Happy Valentine’s Day, Dad. I love you. Don’t stick it to the teachers.” His daughter, Casey Bailey, is a kindergarten teacher at D. J. Montague in Williamsburg – James City County, a VEA member, and a Lobby Day participant. He said he couldn’t go home if he voted for SB 438. Every teacher in Virginia owes Casey thanks! 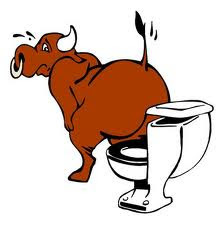 At that point, fearing the bill would be killed, Senator Newman asked that the bill go by temporarily. Presumably, the Governor and his staff wanted time to deal for a vote to counter Norment’s defection. The Governor could not do his magic, and when SB 438 was considered again, the final vote was 18-20. The bill failed. We owe thanks to the 20 Senate Democrats, and to Norment and Watkins, who walked on the final vote. This battle is not over as the House Bill, 576, is still alive. We have fought the good fight engaging everyone from VEA’s Executive Director and President to one most important kindergarten teacher. We need to keep the heat on to kill HB 576. Today was Crossover, and each chamber, House and Senate, so the calendars were thick and the hours long. Too many bills met their fate for me to go into much detail. Here’s a list and a thumbnail description of what education related bills that passed and what failed. SB 498 – establishes a new hybrid retirement plan to replace the current plan. Current employees would have the option of joining this new plan, but it is mandatory for new employees. Passed 40-0. SB 497 – requires school board employees to pay the 5% employee contribution to VRS. The school board must give offsetting salary increases, and the payment can be phased in 1% per year. SB 598 – addresses virtual school funding, Passed 39-10. HB 325 – this bill requires training for aides and teachers assigned autistic children. Passed 99-1. HB 1129 – this bill reduces VRS benefits by reducing the multiplier from 1.7% to 1.6%, capping the COLA at 3% rather than the current 5%, and basing the average final compensation on the high 5 years rather than the high 3 years. Those within 5 years of unreduced retirement are grandfathered. Passed 74-26. HB 1181 – Third grade reading intervention. Passed 100-0. 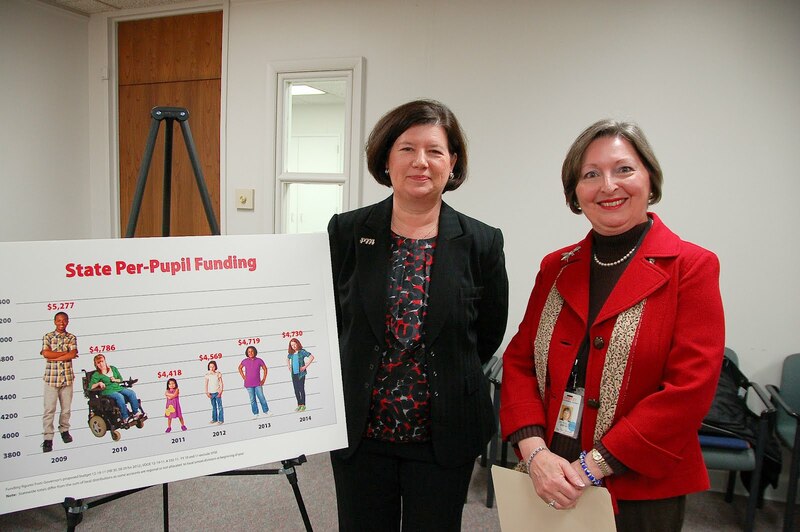 HB 1248 – transfers general funds, 30% of which now go to public education, to fund transportation. Passed 63-35. HB 512 – Machinery and Tools Intangible Personal Property tax bill which would have reduced local government taxing authority when localities are under great stress and are having a difficult time supporting our schools. Failed 35-65. We are doing our best to defeat HB 576 and SB 438 the bills which single out teachers and principals and deprive them of a fair dismissal procedure. I am heartened by the fact that people from across the state, who are not educators, are calling me to ask why this is happening to Virginia's teachers. I think it is important that this question is answered. The Governor fully supports these bills. The only thing we can do to return the favor is to Vote for Ron Paul in the upcoming Presidential Primary on March 6th. The Virginia Association of School Superintendents supports it, but the only thing we can do is express our disappointment. Click here to see the members of their board who made the decision. The Virginia School Board Association not only supports it - their lobbyist wrote the bill. I hope, too, that we will remember the House vote on the bill today (55-43) on November 5, 2013. Joannou was the only Democrat to vote for HB 576. Twelve Republicans and 31 Democrats voted against the bill. The final Senate vote on SB 438, the teacher contract bill is tomorrow, so keep the calls and emails going to Senate offices. I know things look bleak at this point in the 2012 General Assembly Session, but we are two days before half-time, and on Tuesday evening all of the Senate bills will go to the House and vice versa. Clint Eastwood would say, “It’s halftime.” Or, as Yogi would have said, “It ain’t over ‘til the fat lady sings.” We can still kill some of these bad bills if we work together. On Friday, I asked you to write your delegate, now is the time to write your senator. Do so by clicking here. The letter appears at the bottom of this post. During Friday’s debate on the teacher contract bill, Delegate Bobby Orrock (R) of Caroline County said, "I've had at least two instances where I had administrators that I got a little crossways with," said Orrock, who currently teaches at Spotsylvania High School. "But because I was doing my job, they couldn't get rid of me summarily. Although those two tried their best." Bobby offered insight into the real world of a teacher, and we thank him for that! Click here to check out the article in the Fredericksburg Free-Lance Star. Delegate Jennifer McClellan (D) from Richmond wrote an op-ed piece on the same topic in this morning’s RTD. Check it out! As we move into the press of the final days before Crossover, you will be considering a number of bills which will have a great impact on the ability of our Commonwealth to attract and retain high quality teaching personnel. It is important that you consider some key facts regarding the teacher workforce as you make your decisions regarding these bills. According to the Virginia Department of Education in 2010-2011 we had 98,792 teachers. We have an 8.9% turnover rate. That means we need to hire 8,694 teachers per year. Virginia teacher preparation programs at our colleges and universities are producing 3,247 teachers per year. Clearly, we must position the Commonwealth to attract future teachers from out of state. SB 438 will deny future teachers and principals a fair dismissal policy. All other state and local government employees will retain fair dismissal procedures, and all of our neighboring states offer fair dismissal policies to teachers. SB 498 proposes a hybrid DB/DC plan for new hires. This ill-advised plan makes it harder to recruit and retain quality teachers by not providing competitive benefits and does not allow educators to retire with sufficient retirement income, unless they work almost 40 years and save at a high rate in their personal accounts. The bill Increases administrative costs by over $1 million dollars and saves the state, in the best case scenario, less than $75 million over twenty years. SB 241, a tuition tax credit proposal, will reduce future funding increases, according to the Fiscal Impact Statement. The FIS says, “To the extent that this legislation is successful, it will result in future funding increases being less for public education than would otherwise be the case.” This is not the time to create the new entitlement of paying private school tuitions at taxpayer expense. Our efforts should be devoted to improving the public schools attended by 94.8% of Virginia’s children. I wish you wisdom, patience, and endurance in these grueling days prior to Crossover. HB 1129 will significantly reduce the retirement benefits for Virginia’s teachers. It reduces the retirement benefits for all school employees except those within five years of retirement. It is important to note that this bill does little to reduce the current unfunded VRS liability, and there are no significant savings until years into the future, when the current recession will have passed. HB 576 will deny future teachers and principals a fair dismissal policy. All other state and local government employees will retain fair dismissal procedures, and all of our neighboring states offer fair dismissal policies to teachers. HB 321, a tuition tax credit proposal, will reduce future funding increases, according to the Fiscal Impact Statement. The FIS says, “To the extent that this legislation is successful, it will result in future funding increases being less for public education than would otherwise be the case.” This is not the time to create the new entitlement of paying private school tuitions at taxpayer expense. Our efforts should be devoted to improving the public schools attended by 94.8% of Virginia’s children. There was no shortage of drama this morning as the Senate Committee on Education and Health considered the Governor's legislation to eliminate continuing contract. SVEA member and student in the VCU teacher preparation program, Blossom Hargrove warned the committee that passage of SB 438 would hamper Virginia's efforts to recruit teachers in the future. VEA's testimony centered on the fact that Virginia will need to hire 8,694 teachers each year, and that Virginia's teacher preparation programs are only producing 3,247 teachers per year. Why will promising young teachers want to move to Virginia when they know our salary is 12% below the national average, our class sizes are among the largest in the nation, our retirement benefits are being downgraded, and if this bill passes we will be the only state of all our neighboring states that does not have a fair dismissal policy. When the vote on the bill was taken, it failed to report on a 6-9 vote. Republicans Newman and Blevins voted with the 7 Democrats. Newman voted against so that he could later move reconsideration as he voted on the "prevailing side." Some time passed. Blevins was called out of the room, and when he came back Newman moved to reconsider. This time the vote as 8-7 to report the bill - a party-line vote. Blevins had changed his vote. YEAS--Martin, Newman, Blevins, Smith, McWaters, Black, Carrico, Garrett--8. NAYS--Saslaw, Lucas, Howell, Locke, Barker, Northam, Miller, J.C.--7. The bill now goes to the Senate floor - where we have our last chance to kill it. Please click here to write your Delegate and Senator urging opposition to SB 438 and HB 576. On the retirement front, a special subcommittee of the Senate Finance Committee passes two retirement bills carried by Senator John Watkins, SB 497 and 498. SB 497 requires your school board to require you to pay the 5% employee contribution to VRS. It can be phased in 1% at a time. Senator Janet Howell offered an amendment to require off-setting salary increases. The amended form of the bill was reported by the subcommittee. Provides a guaranteed retirement benefit. –1% multiplier = 30% of AFC after 30 years. –4% employee contribution with the remainder contributed by the employer. –Allows continued amortization of the current Unfunded Liability. –Employee: Mandatory contribution of 1% with up to 4% additional. –Employer: Mandatory match of 1% and 50% of the next 3% additional up to a total of 2.5%. (Max = 1%+1%+1.5%=3.5%). –Automatic contribution escalator with employee opt-out feature. –Continue VSDP for state employees. –Extend VSDP for to local employees and teachers. The Compensation and Retirement Subcommittee of House Appropriations considered Speaker Howell’s VRS bill, HB 1129. This bill grandfathers all who are within five years of retiring. For all others this bill reduces the multiplier from 1.7 to 1.6. It bases the final average salary (AFC) calculation by considering the highest 60 months rather than the highest 36 months, and it caps the cost of living allowance (COLA) at 3% rather than the current 5%. This bill would also include a defined contribution plan option – the same one that was in last year’s H2410. Both of these bills reduce the retirement benefits for future employees, but do nothing to reduce the unfunded liability of VRS. This is that time in the session when the days are the longest. I would have posted this earlier had I not been at the GA. The Governor’s bill to end continuing contract was reported by the House Education Committee this morning on a 13 to 8 vote. Delegate Lingamfelter offered an amendment to address an issue that VEA President-elect Meg Gruber highlighted in her subcommittee remarks on Monday. The substitute being considered by the committee would have had a continuing contract teacher who moves to another district moved to probation and then to a three year term. Lingamfelter’s amendment changed it so that a teacher in this circumstance could regain continuing contract. Delegate Jennifer McClellan spoke eloquently against the bill – click here to watch. YEAS--Tata, Landes, Lingamfelter, Cole, Pogge, Massie, Greason, Bell, Richard P., Stolle, LeMunyon, Robinson, Yancey, Dudenhefer--13. NAYS--Rust, Yost, Alexander, McClellan, Tyler, Bulova, Morrissey, Keam--8. We thank all who voted against the bill, but especially thank Republican delegates Rust and Yost who broke party rank to support Virginia’s teachers. They were under great pressure from their own governor to support the bill. HB 576 will head to the House floor tomorrow, and the Senate companion, SB 38, will be before the full Senate Education and Health Committee tomorrow. Please urge your colleagues to go to the VEA web site to send the letter provided to their senator and delegate. HB 947, Delegate Robert Bell’s bill to allow home schooled students to play on public school teams passed the House today 59-39. Click here to see how your delegate voted. One good thing happened at the General Assembly today! Senator Wagner’s SB 597, the Amazon Tax bill, which will make online merchants collect the same sales tax that retail outlets must collect, passed in the Senate Finance Committee unanimously. This bill will end the unfair advantage online providers have over local merchants. It will also generate $139 million in FY 2012-2013 – needed funds for our cash-strapped state. This is a major victory for the Better Choices Coalition, a coalition that includes VEA. That’s good! This morning’s meeting of the Teacher and Administrative Action Subcommittee of the House Education Committee took up a number of bills, including the Governor’s bill to end continuing contract, HB 576. Other controversial bills were on the agenda, so by the time we got to this very controversial bill, time was in short supply. This past Thursday, proponents of the bill were given one hour and forty minutes to speak in favor of the bill and there was no time afforded to opponents. VEA President-elect Meg Gruber spoke in opposition as did Sam Eure of York County and others. In what was a shocking end to the meeting – no vote was taken on the bill. That’s bad. The bill will now be taken up by the Education Committee tomorrow morning. What’s ugly? 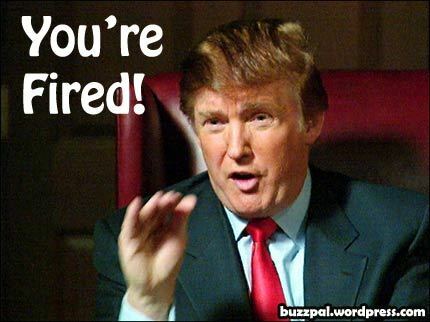 Did you know that all other government workers have access to a fair dismissal procedure? Local government employees too! State workers even have binding arbitration. Governor McDonnell has singled out teachers and principals. They are the only workers who will be denied a fair dismissal policy – that’s ugly. Please click here to send a letter to your delegate and senator asking them to vote against HB 756/SB 438. SB 438 was taken up by the Senate Committee on Education and Health’s Subcommittee on Public Education this evening. This is the Governor’s bill, carried by Senator Obenshain, to eliminate continuing contract. In light of legal issues raised by VEA last week on the House side, and substitute bill was admitted. The good news is that all teachers now holding continuing contract will be “grandfathered.” The bad news that those teachers who have not earned continuing contract by the first day of the 2013-2014 school year will go on to a three year term contract. These teachers will be subject to non-renewal (being fired) at the end or each three year term with no reason given or due process afforded. Senator Carrico made the motion to report the bill, and Senator Black seconded the motion. Senators Carrico, Black and Blevins voted for the measure, and Senators Howell and Locke voted against it. The vote was party-line. Please urge them to vote against HB 576. The week ahead will be most challenging. Both the VRS legislation and the teacher contract bills will be considered in committee. If you haven’t sent the email letters on both the contract and pension issues, they are now up on our website please do so ASAP. You will see them in the top right portion if the web page at www.veanea.org. We’ll do an email letter on the contract issue to the Senate in the near future. Our challenge is anticipating how Senate Bill 438 (Obenshain) will be altered in light of the problems encountered by this Governor’s initiative on the House side (see Thursday’s posting). SB 438 will be taken up by the Public Education Subcommittee of the Senate Education and Health Committee one half hour after adjournment of the Senate on Monday afternoon. We need calls and emails to members of this subcommittee urging them to vote against SB 438. • How can a new teacher be dismissed during the school/contract year? The substitute no longer includes the provision making teachers on probationary contract subject to “dismissal without cause.” So probationary teachers will have a contract for the school year and face annual decision on contract renewal. • Who is a new probationary teacher? The substitute bill requires new teachers to complete FIVE years of probationary service, an increase from current statute establishing three year probation. Currently, even an experienced teacher who moves from one Virginia school division to another can be required to complete one year of probationary service. The substitute bill allows but does not require the new school division to impose TWO years of probationary service when hiring a teacher with Virginia experience. • How can experienced teachers lose teaching employment? Currently state law provides teachers who successfully complete the three year probationary period with continuing contract. Continuing contract does not protect a teacher from losing employment due to decline in enrollment, abolition of subject or reduction in classes, or decrease in school budget. Statutory dismissal procedures govern termination of a continuing contract teacher for causes including: incompetency, immorality, noncompliance with school laws and regulations, disability as shown by competent medical evidence when in compliance with federal law, conviction of a felony or crime of moral turpitude or other good and just cause. • Will teachers already on continuing contract be put on term contracts? The Administration wants to eliminate continuing contract completely but faces constitutional difficulties. We could see a two tier system that “grandfathers” teachers already on continuing contract to preserve their constitutional property while giving newer teachers, and anyone who moves the lesser protection of term contracts. Even teachers already on continuing contract should be alarmed about this radical change in the security teachers enjoy. Rob Bell’s HB 947, the bill forbidding local school boards from joining the Virginia High School League and allowing home schooled students to participate in public school sports was reported from the House Education Committee today. The vote was interesting – not a party line vote on either side. YEAS--Landes, Lingamfelter, Cole, Pogge, Massie, Greason, Bell, Richard P., Stolle, LeMunyon, Robinson, Yost, Yancey, Dudenhefer, Morrissey--14. NAYS--Tata, Rust, Alexander, Ware, O., McClellan, Tyler, Bulova, Keam--8. VEA joined many other organizations in opposing the bill. HB 576, the Governor’s “annual contract” bill, which is sponsored by Delegate “Dickie” Bell, will come up in the Teachers and Administrative Action Subcommittee of the House Education Committee tomorrow at 5 p.m. This meeting will be on the 5th Floor West Conference Room in the General Assemlby Building at 9th and Broad. Richmond area educators may want to attend. Continuing contract is not tenure and does not guarantee teachers a job for life. Continuing contract protects teachers from nepotism, cronyism, and arbitrary dismissal. The elimination of continuing contract is a radical change to teacher contract law in Virginia, yet administration presents no empirical data to support such a change. No empirical evidence regarding the difficulty or time it takes to remove an underperforming teacher. No empirical data as to the extent of the problem. Why should the vast majority of teachers lose their historic expectation of job security in order to remove the very small number of underperforming teachers? Why punish the many for the shortcomings of a very few? Virginia recruits half its teachers from out of state. Virginia competes with North Caroline, Maryland, etc. for teachers from other states. Surrounding states provide job security and due process. Why would a teacher choose to work in Virginia when they can just easily go to Maryland and enjoy a greater degree of job protection/due process, a higher salary and better retirement benifits? Current law provides a process for the dismissal of any underperforming teacher, probationary or non-probationary. Many underperforming teachers are removed from their classrooms every year, commonly done through a resignation rather than a dismissal. Human nature is such that “firing” a teacher is something school administrators find difficult to do. The bill returns us to the bad old days of public employment cronyism, nepotism, and politics by making teaching employment at will for the first 4 years, and putting experienced teachers on term contracts. Renewal of the term contract can be denied at will. Teachers can be and are denied employment and dismissed based on evaluations now. The new law does not just make put an untested evaluation system into statute, but removes all protection for teachers performing well by subjecting them to a renewal decision without cause every 5 years. The Governor wants to eliminate continuing contract subjecting teachers to whim and caprice and destroying the stability of professional teachers for our students. Please be on high alert. If this bill is reported to full committee we will be urging you to communicate with committee members.